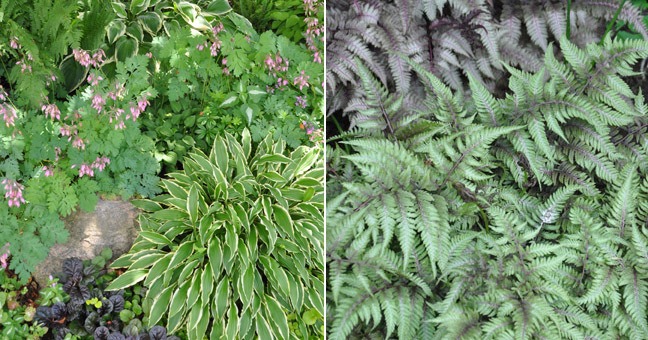 Knowing what plants to use in your shade garden is a first step, but incorporating them into a planting scheme can be intimidating. What goes where and how should the whole thing look when you're done? 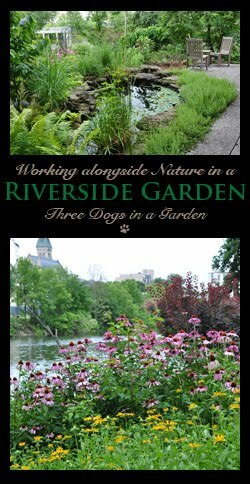 To help out, I have gathered some shade planting schemes together in one post. 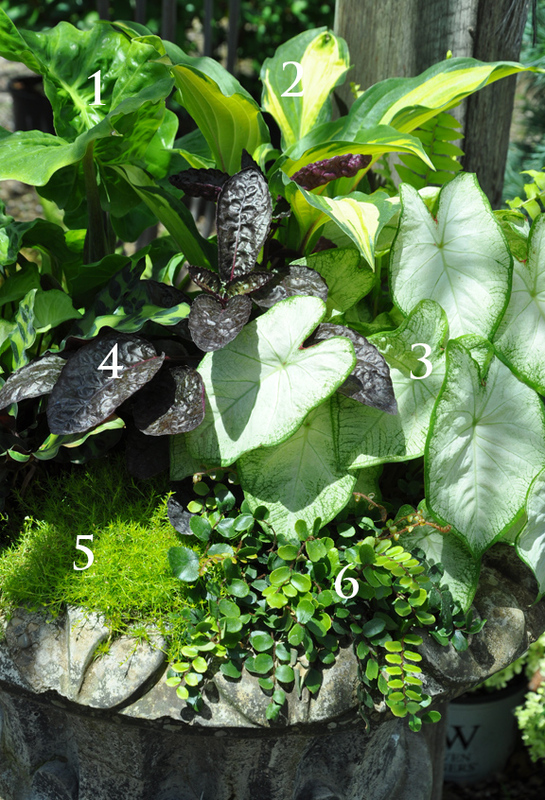 Each example is numbered and one or two plants have been highlighted with further information. 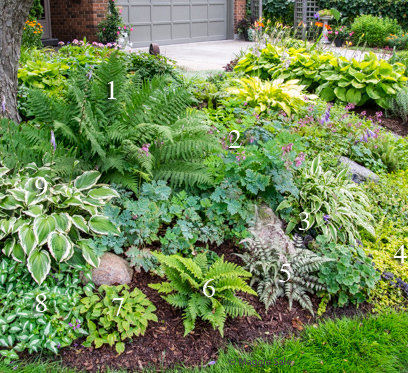 There are even a couple of numbered container plantings included. 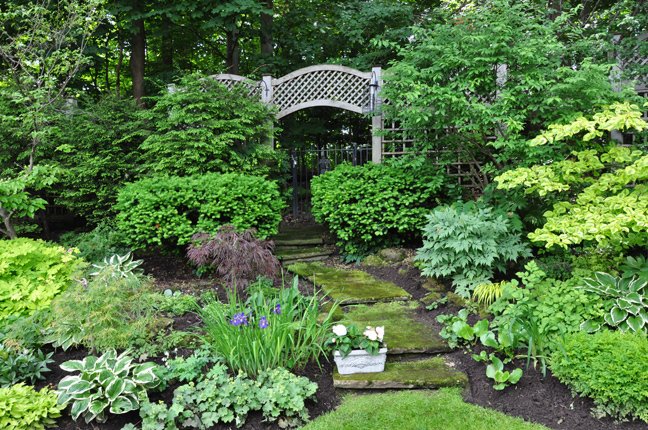 Private garden in the Toronto Beaches. See more of this garden here. The Beaches neighbourhood, just 20 minutes east of downtown Toronto, has the casual atmosphere of a lakeside resort town. If your very lucky your home has a view of Lake Ontario, and even if your not, the lakefront is often within walking distance. 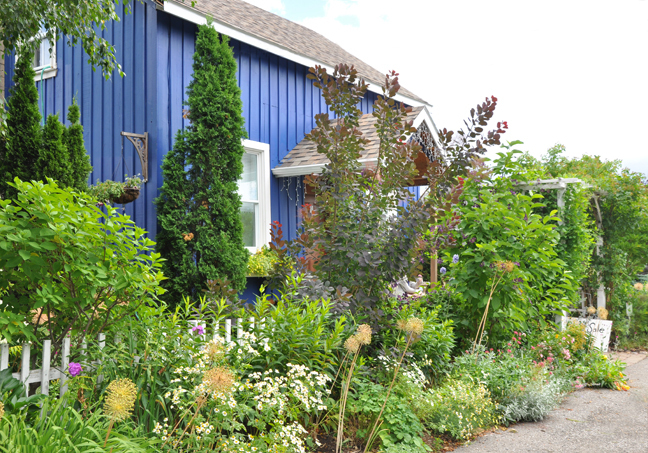 Yvonne's garden is as charming as the neighbourhood in which it resides. 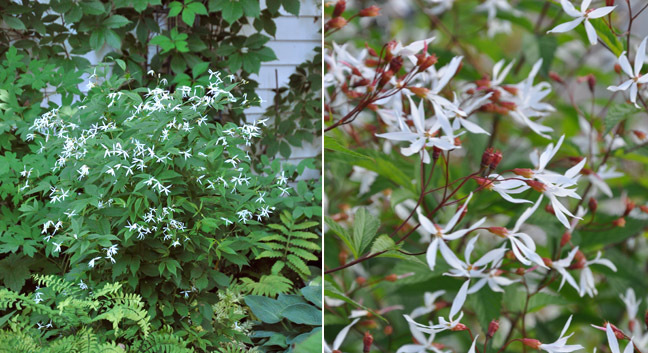 Bowman's Root, Gillenia trifoliata is a tough, long-lived native plant with reddish stems, narrow leaves and white, star-shaped flowers. Full sun or light shade. 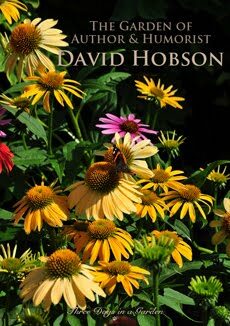 Prefers rich, moist, well-drained soil. Good fall color. Height: 60-120 cm (24-47 inches), Spread: 60-75 cm (24-30 inches). Zones: USDA 4-9. See more of this garden here. 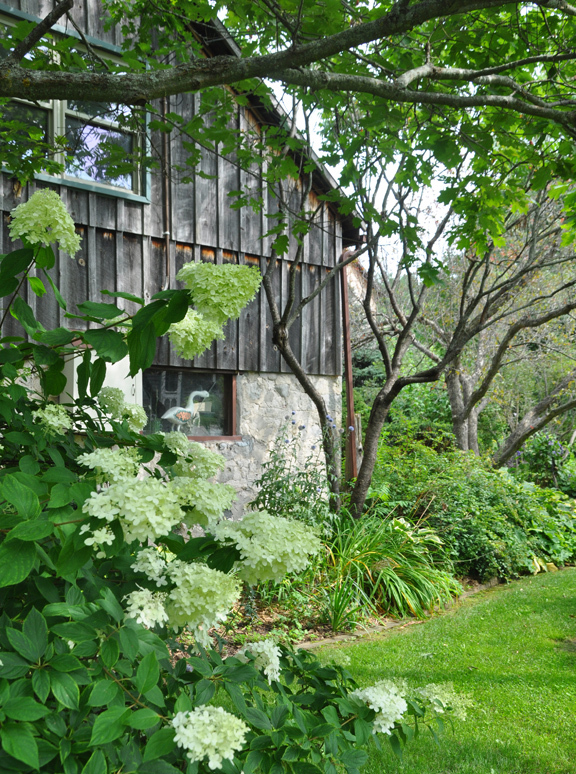 Jamie has used native plants to integrate her garden into a natural landscape that includes trees that are part of an old growth forest. 1. Canadian Ginger, Asarum canadense 2. Forest Pansy Redbud, Cercis canadensis 'Forest pansy' 3.Sedge, Carex 4. Sedge, Carex 5. Goat's Beard, Aruncus dioicus 6. Japanese Fern, Athyrium 7. Trillium 8.Astilbe 9. Ostrich Fern, Matteuccia struthiopteris. Goat's Beard now comes in small, medium and large. Goat's Beard, Aruncus dioicus is the largest of the three and has feathery white plumes mid-summer. The plant has green ferny foliage which is quite attractive in its own right. 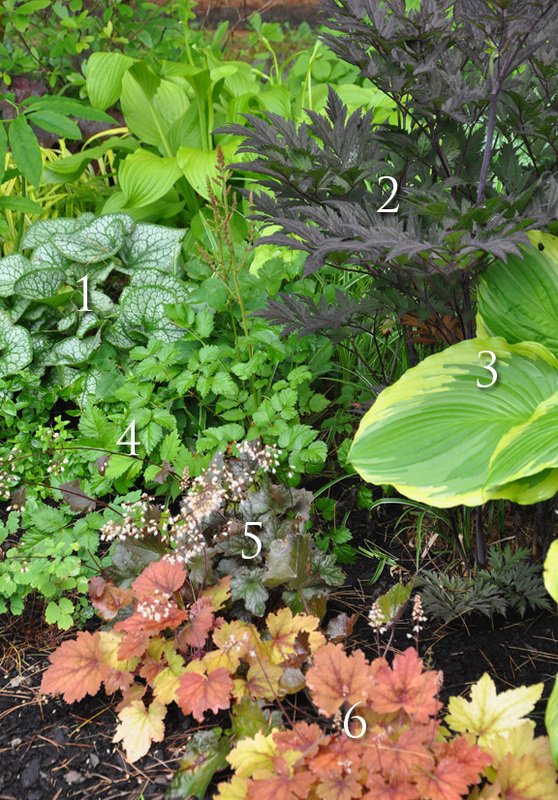 Part-shade or shade and average to moist soil. Height: 120-180 cm ( 47-70 inches), Spread: 90-150 cm (35-59 inches.) USDA Zones: 2-9. 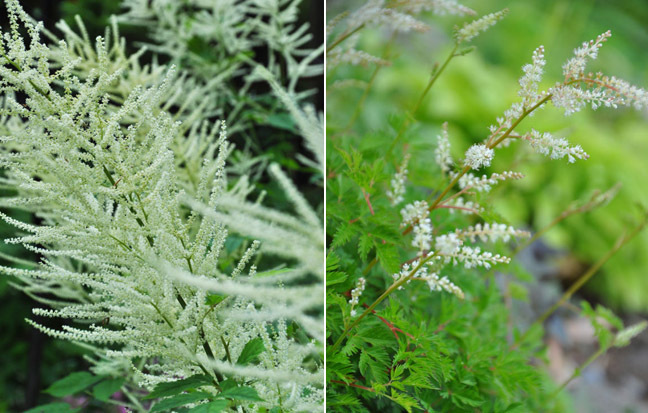 Goat's Beard, Aruncus 'Misty lace' is more suited to a smaller garden and is the medium sized plant. Height: 60-75 cm (23-29 inches), Spread: 45-60 cm (18-23 inches). USDA Zones: 3-9. 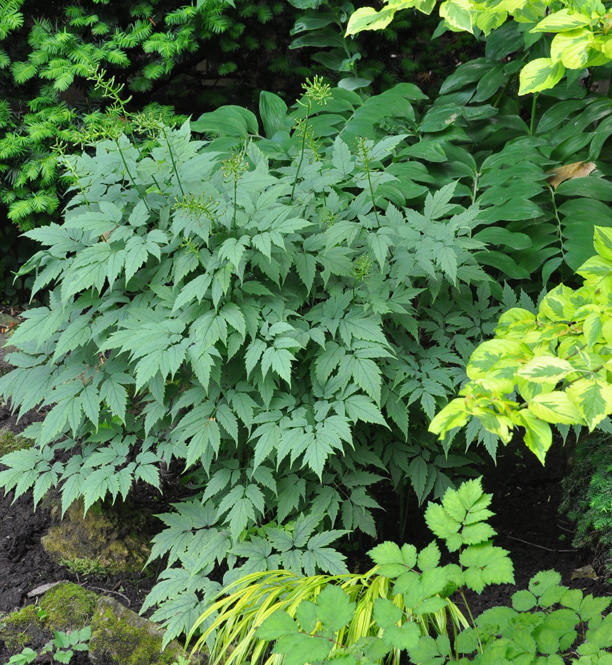 Dwarf Goat's Beard, Aruncus aethusifolius forms a neat mound of ferny foliage with reddish stems. It has short spikes of white flowers in early mid-summer. Part-shade or shade and average to moist soil. Height: 20-30 cm (8-12 inches), Spread: 20-30 cm (8-12 inches). USDA Zones: 2-9. When you enter the gate of Candace's house, a pathway leads you to a small pond and waterfall. 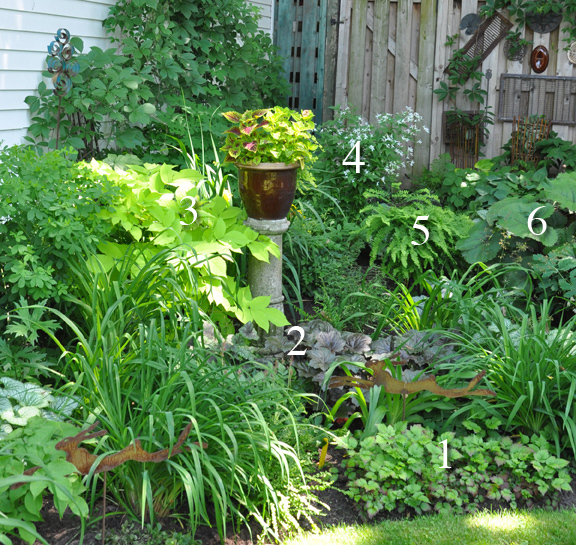 Here is one of the numbered plantings from the shady area of her garden. Hydrangea Petiolaris, also known as Climbing Hydrangea, is slow to grow, but is very useful as a non-invasive climber for shade. Hardy to USDA zone 4. 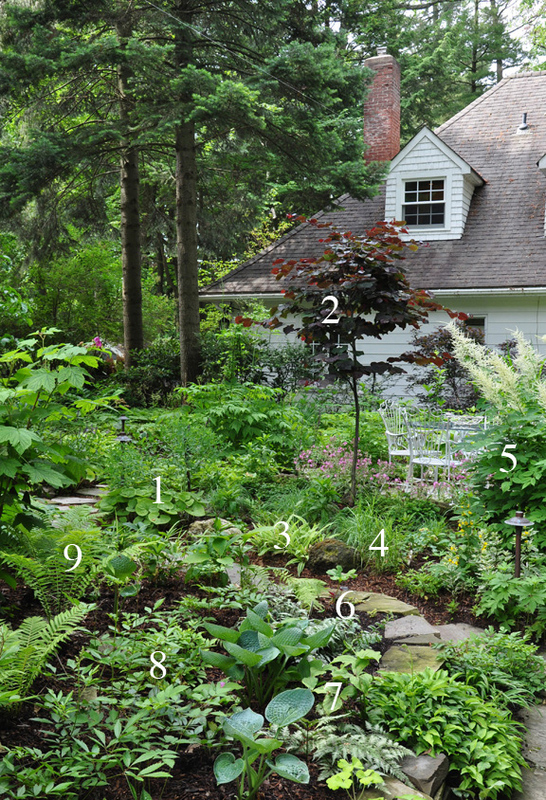 Here is a numbered planting from the area just in front of one of the barns at Grange Hollow. Autumn Fern, Dryopteris erythrosora When new fronds appear they are coppery-red in color. This fern is evergreen in zones with mild winters. It likes slightly acidic soil and that is consistently moist and rich in organic matter. Height: 30-60 cm (12-23 inches), Spread: 45-60 cm (18-23 inches). USDA zones: 5-9. Canadian Wild Ginger, Asarum canadense is native to the woodlands of Eastern north America. It bright green, heart-shaped leaves and insignificant brownish flowers that are largely hidden by the foliage. It will colonize an area and tends to be more vigorous than European Wild Ginger (Asarum europaeum), but is not considered to be invasive. Part to full shade. Sandy or clay soil are fine. Average to moist soil suit this plant best. Height: 10-15 cm (4-6 inches), Spread: 15-30 cm (6-12 inches). USDA zones: 3-9. No need for numbers here! 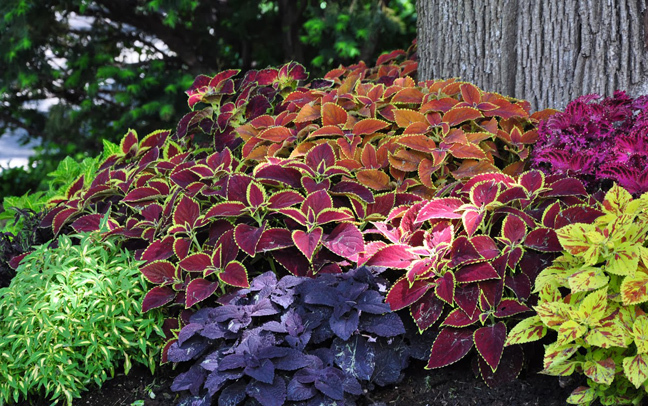 While this looks like a range of colorful plants, they are all Coleus! 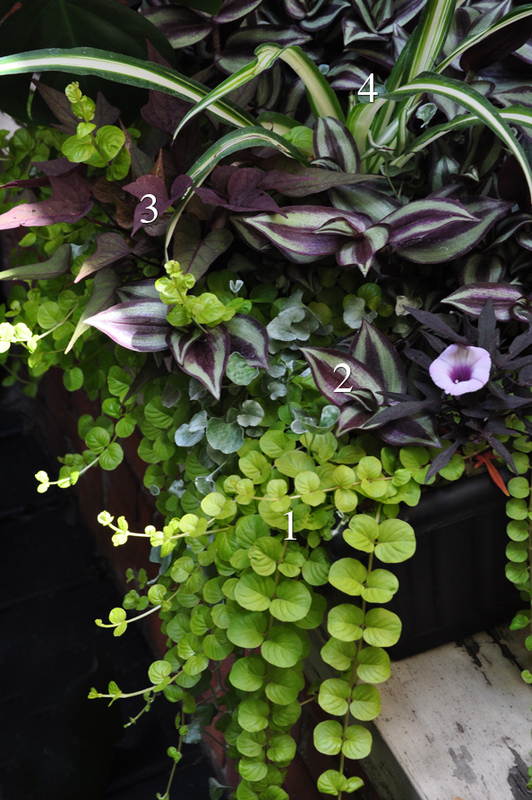 I wanted to include this planting to demonstrate that part-shade and shade can have happy colors. Photograph by Maggie Sale. See more of the garden here. 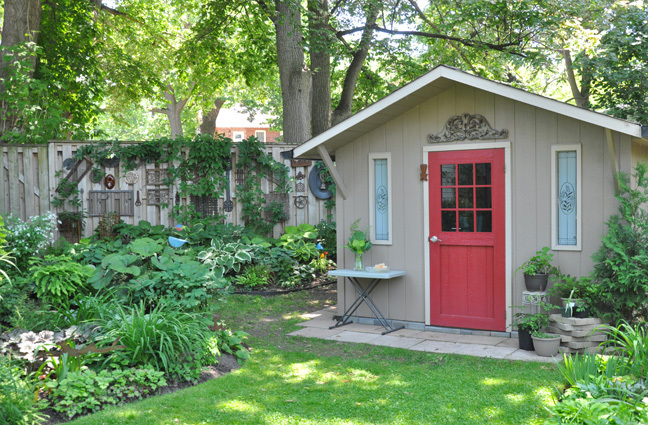 I featured photographer Maggie Sale's backyard garden a couple of years ago. This spring, I was able to share her love of art along with some pictures of the front garden taken by Maggie herself. 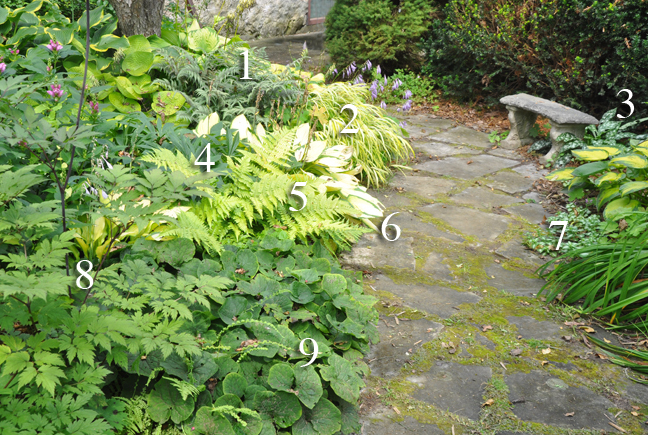 Hostas have come a long way in recent years! 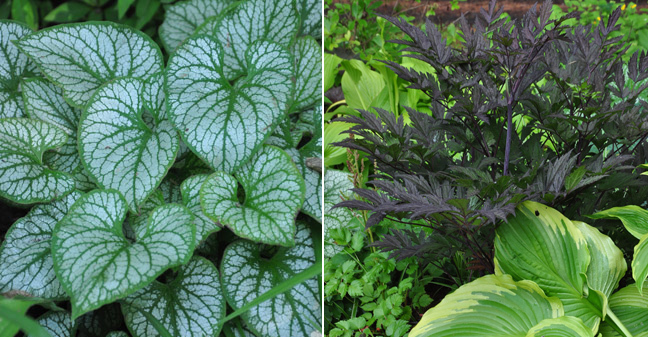 The one pictured on the left has long, tapered leaves. 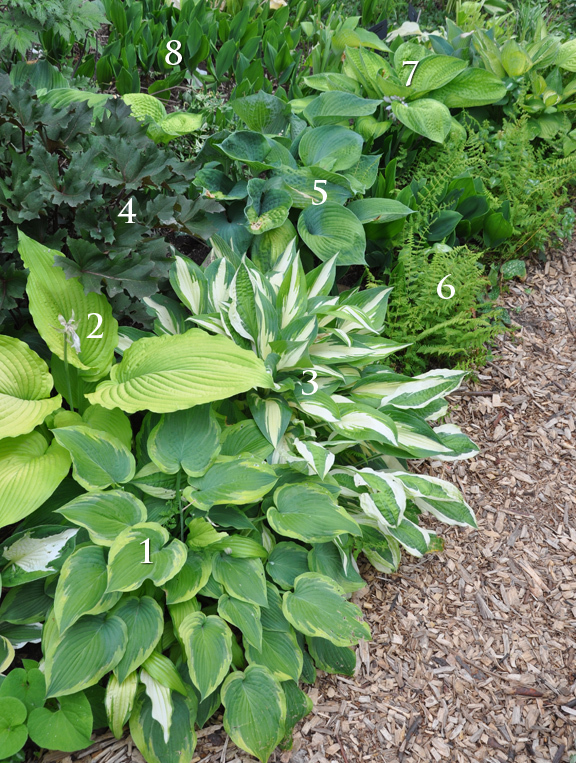 You can also find miniature hosta and cultivars with curled leaf edges. 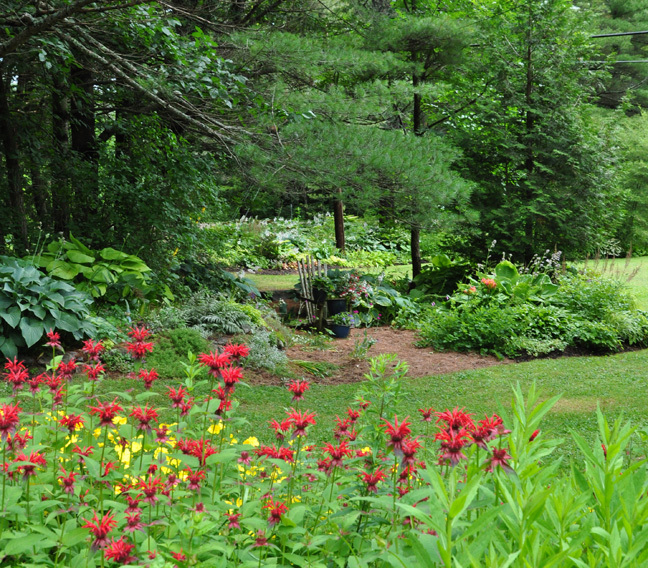 Marnie lives in the countryside not far from the town of Bracebridge, Ontario. That makes her garden zone 4a. 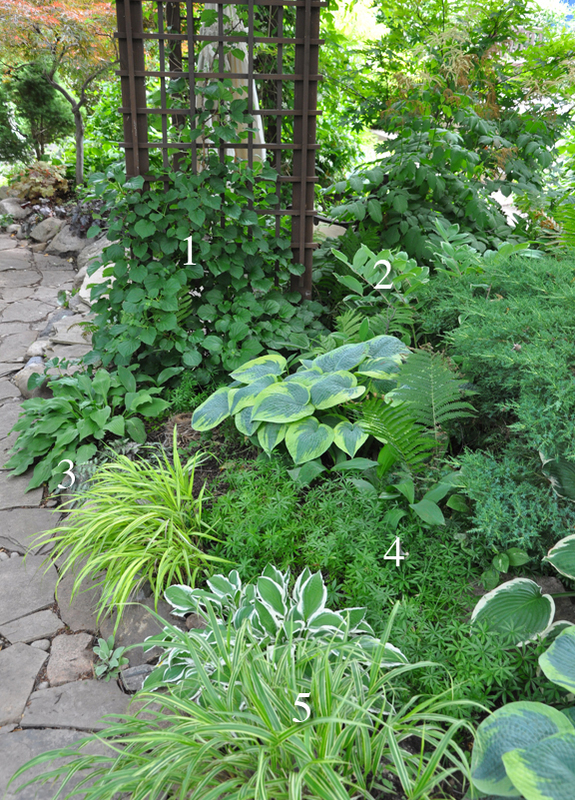 Over the years, Marnie's shade garden evolved to cover a fairly large area. 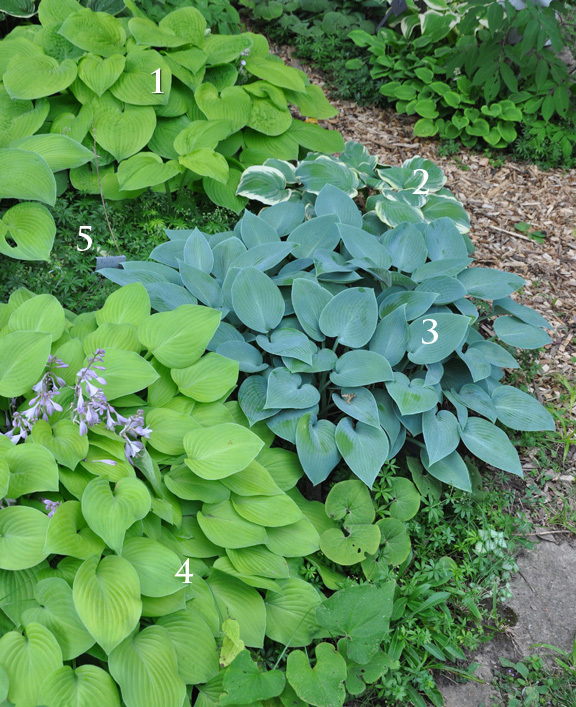 Hostas form the backbone of the plantings, but there are lots of other unique and unusual perennials, many of which Marnie has grown from seed. 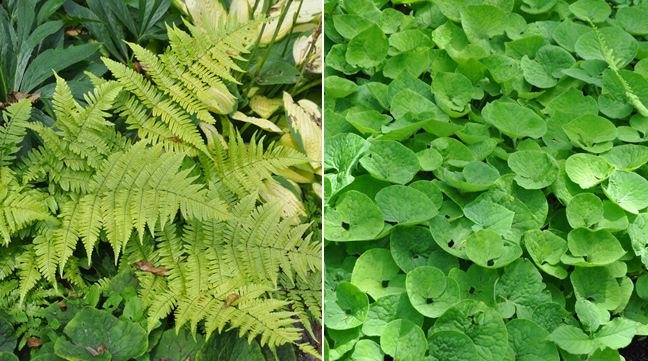 Brunnera macrophylla 'Jack Frost' has heart-shaped, silver colored leaves that are veined in a bright green. Sprays of blue flowers, which closely resemble forget-me-nots, appear in mid-spring. Average garden soil is fine, but 'Jack Frost' prefers rich soil and moist conditions. Height: 30-40 cm (12-16 inches), Spread: 30-45 cm ( 12-18 inches). USDA Zones: 2-8. Actaea simplex 'James Compton' has white flowers tinged with pink and dark, purplish-black foliage. This is a great late summer/fall perennial for part-shade. It requires moist soil rich in organic matter. Part-shade. Height: 90-120 cm (35-47 inches), Spread: 60-75 cm (23-29 inches). USDA zones: 3-9. One of the biggest changes that marks the shift from winter into spring is the emergence of green leaves. 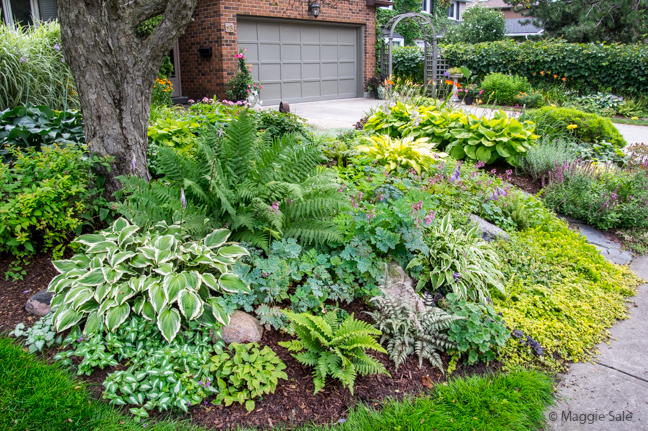 Foliage never looks so fresh and vibrant as it does in the spring! 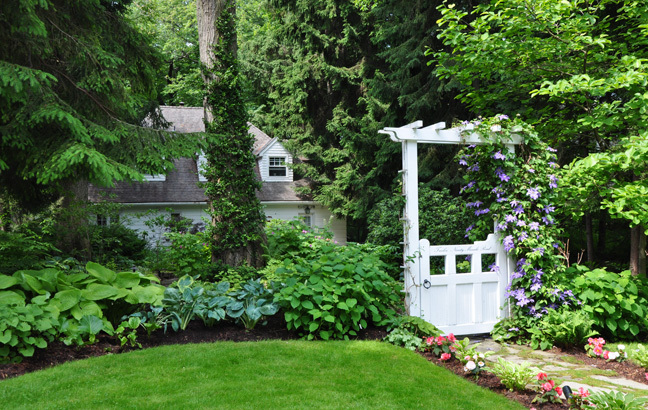 In this bird-friendly garden, foliage is the star. Actaea pachypoda 'Misty Blue' has blue-green foliage and white flowers in spring. 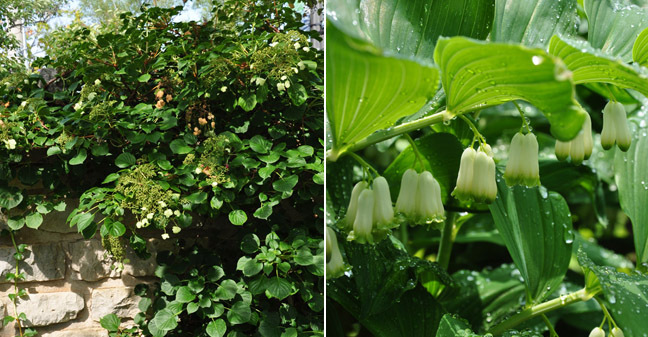 In summer the flowers become white berries on contrasting red stems. This plant prefers sandy or clay soil with average to moist growing conditions. Height:60-90 cm (23-35 inches) , Spread: 60-90 cm (23-35 inches). USDA Zones: 3-9. 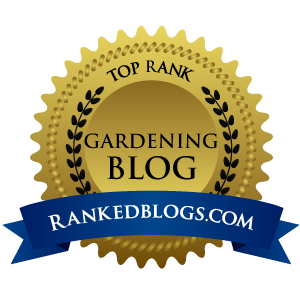 The Beaches garden is one of my favourites among those you've profiled. 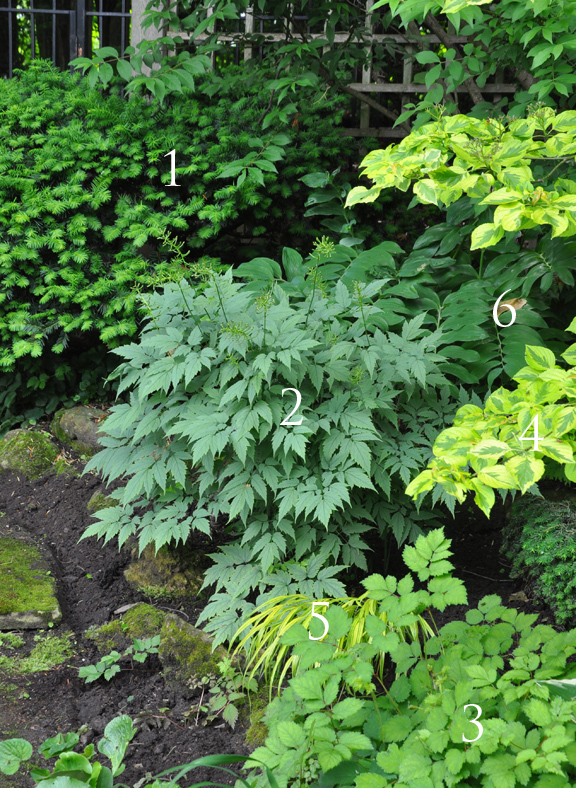 I've incorporated a number of the plantings, such as Aralia and Gillenia into my own shade garden. The numbering and identifying is very helpful! Great post! The Beaches garden was a very nice shade garden. I've added a Aralia and several Gillenia to my own garden.